Scientific Name(s): Paeonia obovata Maxim. 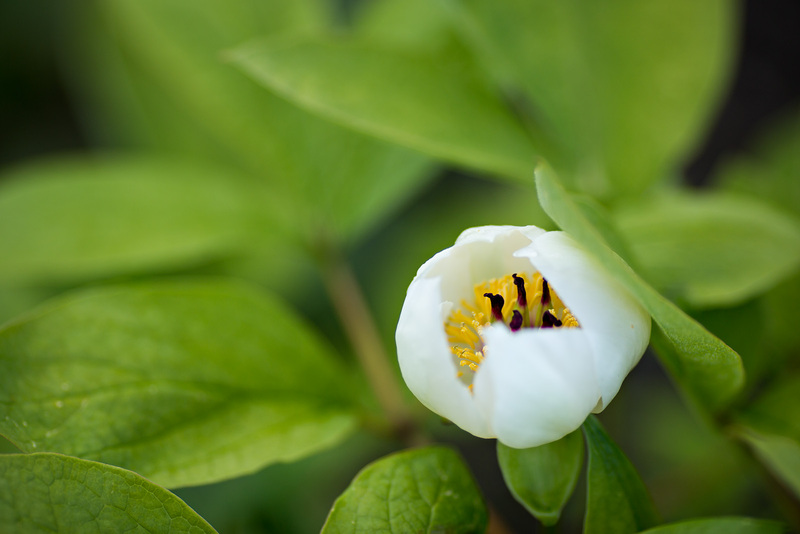 Paeonia obovata, the woodland peony, is native to China, Japan, Korea, and the far eastern parts of Russia. Translations of common names from other languages include grass peony and mountain peony, though perhaps something gets lost in translation. In China, at least, it is a plant of “deciduous broad-leaved, mixed broad-leaved, and coniferous forests”, suggesting woodland peony may be the most reflective of its typical habitat. Paeonia obovata is a highly-variable species, due in part to some populations being diploid while others are tetraploid. The excellent In Defense of Plants weblog has an entry on Ploidy and Pollinators which helps explain why this makes a difference. For the first century after introduction in European cultivation (since 1900, thanks to Ernest Henry Wilson), Paeonia obovata was typically limited to botanical gardens. 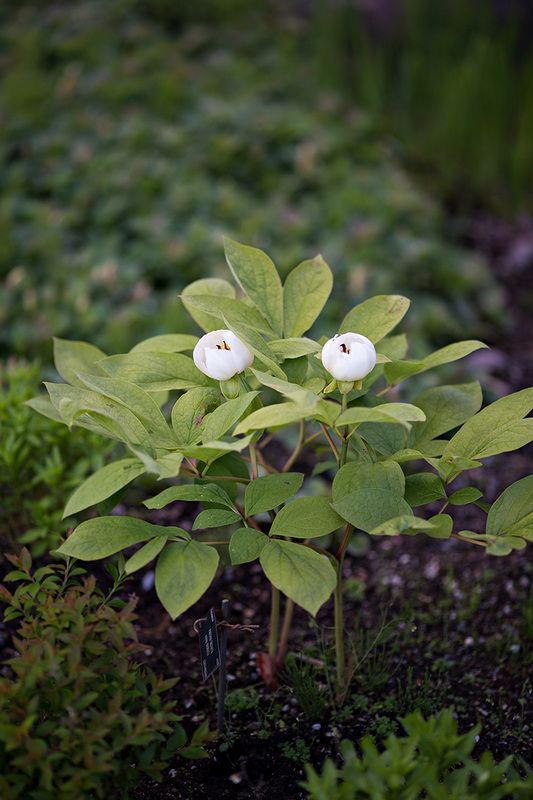 In recent years, it is found its way into broader cultivation, such that Missouri Botanical Garden now has a cultivation factsheet for it: Paeonia obovata. Today’s plants were photographed in UBC Botanical Garden’s E.H. Lohbrunner Alpine Garden in early summer. Off-topic, but a reminder for local readers: tomorrow is AppleFest! Gorgeous; it looks like your photos feature the diploid version. I grow this but it is a weak grower for me here in Minnesota. By contrast, the tetraploid version called P. obovata variety Wilmottiae grows very robustly here. I really enjoyed the Wikipedia link for the list of what all can vary on this plant and still be identified as the same species (colour, number of petals, number of sepals, number of carpels, degree of hairiness, 20 to 240 stamens! ); and the ploidy article indicating that bees can sense a difference in number of chromosomes was short, easy to read, and very interesting. Policy and Pollinators was so interesting! Who’d a thunk? If I was a bug, I would love to live inside that flower.